KHL.ru continues its team-by-team review of the tenth season of the KHL Championship with a look back at the Lokomotiv Yaroslavl’s 2017/2018 campaign. The team decided to change its coach midway through the season. The Yaroslavl team didn’t manage to repeat last year’s success as in Spring 2017 they went all the way through the Western Conference finals, surrendering only to the eventual champion SKA St. Petersburg. 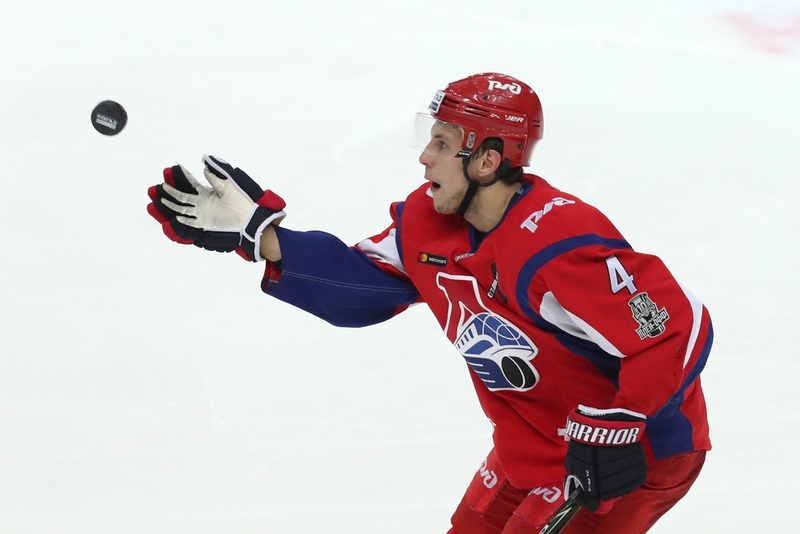 This year, the “railwaymen” faced SKA one round earlier, and the team led by Dmitry Kvartalnov won only one game during the series and finished its season. Lokomotiv started the 2017/2018 campaign led by Alexei Kudashov and it was a rocky first part of the season. In the first eight games, the “railwaymen” won only four times. After this first cycle, the staff managed to change something in the team’s tactics and the team started to regularly get points, with a five-game winning streak. But what happened in late September remains a mystery. Three big losses in five games, an incredible defeat in Novosibirsk, and then a loss to Avangard Omsk at home soil. 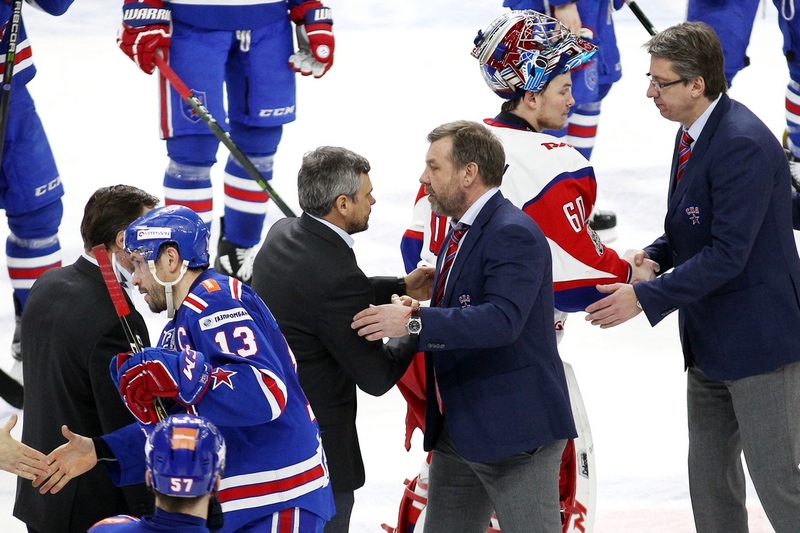 After losing 1:6 against SKA in Yaroslavl, the boards opted for a head coach change and the choice fell on Dmitry Kvartalnov, who last year was coaching CSKA Moscow when Lokomotiv defeated them at the conference semifinals stage in Spring 2017. The head coach change had a positive impact on the team. Kvartalnov’s coming gifted new emotions to the “railwaymen” as they won nine of the first 12 games under the new coach’s guide. A key moment was when Lokomotiv managed to defeat CSKA in Moscow (3:2 OT) when the Red Army team was on a great streak, thus creating a very good streak themselves and being at that point out of the crisis. It’s hard to say if Lokomotiv had the concrete goal of unhorsing Jokerit Helsinki from the third seed in the Western Conference, but in any case, they didn’t manage to do it. 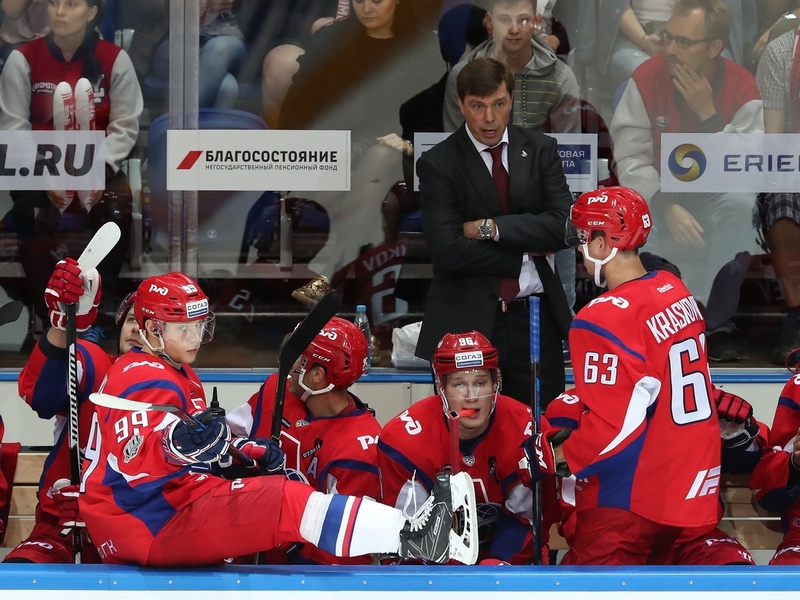 During the winter the Yaroslavl team lost too many points and they could not reach them back. Lokomotiv got to the playoffs with the fourth seed in the Western Conference. The first-round clash against Torpedo Nizhny Novgorod was for Lokomotiv of the utmost importance. These two cities are long-time rivals and the fans are always waiting for this matchup. And you can also add to the atmosphere the personal duel between Kvartalnov and Peteris Skudra. All the four games were hard fights, but in the end, Lokomotiv was stronger than the opposition in every game (4-0). But then Lokomotiv did not manage to contain SKA St. Petersburg. Kvartalnov’s team won only the second game of the series, showing their best defensive hockey of the playoffs. The team also started very well in the third game, but they could not find the key to beat SKA goalie Mikko Koskinen. The fourth game was memorable also because of some well-discussed fights. One of the best things of the Lokomotiv season was the debut of the 17-years-old Grigory Denisenko, one of the most talented Russian 2000-born players. Generally speaking, Kvartalnov called up to the main team many players from the Lokomotiv academy, gaining much praise from the boards at the end of the season. As we already mentioned, Alexei Kudashov was fired during the fall and substituted by Dmitry Kvartalnov. The new coach brought up his style since the very first day. The “railwaymen” started playing in a much more aggressive hockey and rapidly became the second team in the whole league for shot attempts, which became very evident even to the fans, and as it was experienced by CSKA Moscow. But the most important thing was perhaps the fact that Kvartalnov started giving more space to youngsters. Under his guide, many young players had their KHL debut, even more so during the playoffs. 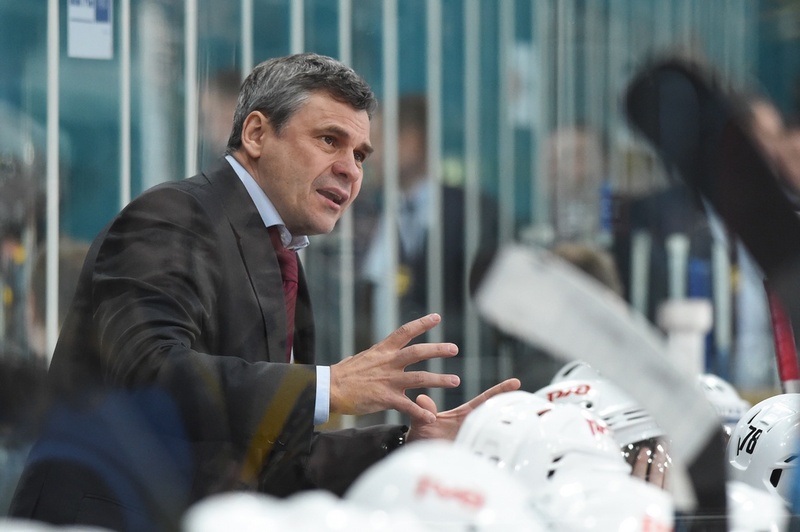 After that Lokomotiv got eliminated by SKA, Kvartalnov has been confirmed as the team’s head coach, thus having a chance to spend an entire offseason in Yaroslavl. On October 13th, the future Gagarin Cup winners Ak Bars Kazan got to Yaroslavl. The clash between the “railwaymen” and the Eastern Conference leaders promised to be very uncertain, but the game reserved little suspense to the fans. Lokomotiv managed to outplay Ak Bars (6:2) and earned three well-deserved points. Forward Egor Korshkov scored a double and goalie Emil Garipov was benched after allowing the fourth goal. Lokomotiv had a bad night even during that period when they were winning game after game. On November 4th, little people would have bet on Dinamo Riga during an away game in Yaroslavl, but the team led by Girts Ankipans moved on after the game with a shutout win (4:0). The “railwaymen” could not do anything during that game, while Miks Indrasis scored a double and added another point with an assist. The Dinamo Riga leader was simply unstoppable. The first player in the “discovery” list is defenseman Alexander Yelesin. And not only because he broke the “fastest goal” record in the KHL. Under Kvartalnov, Yelesin really improved his game and became a key player on defense. Yaroslavl fans were pleased to see that he has a great shot and that he has a very solid psychology. The national team didn’t miss his progress and called him up for the Euro Hockey Tour. Yaroslavl fans were expecting much more from Pavel Kraskovsky, especially so after his 2016/2017 strong season. The center was regularly called to the national team and had a solid role in the lineup, but he didn’t have the best season. He is hardly pleased by having scored only twice during the entire regular season. It’s not too strange to have such highs and lows for young players, but next year Kraskovsky has to play much better.